Brrrrrrr, it's cold. It's freezing! Winter is here. 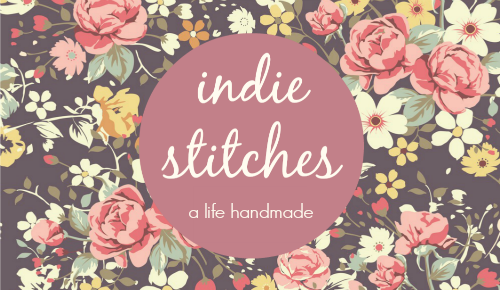 This week marks the final Me Made May competition and Caitlan at Indie Stitches is giving the winner their choice of any of her PDF Patterns! Caitlan stocks a beautiful selection of patterns as well as a carefully curated range of fabrics (which are currently 30% off - it's where I got the flannel for my latest Afternoon Shift - photos to come). I also have some of this beautiful stuff to make a Hunter Tank (whenever summer comes back...) and have my eye on this and this that would work beautifully for a summery pattern idea I currently have. To enter, just leave a comment telling us which of Caitlan's patterns you'd be after if you won. I also wore my Anemery dress on Saturday (complete with long sleeve layers) for Oscar's birthday party. He turned one on Thursday and I just have no words to express how fast this year has gone and how much has changed. I've been a bit slack with my knitting goal this month, it's just been too warm to want to knit. But with winter firmly in our neighbourhood, blowing a gail outside (but with a toasty roaring fire inside), it's definitely feeling like a knitting kind of day. 70 comments on "Me Made May Week 3 & One more competition..."
I love the camas blouse it's beautiful! Definitely the Afternoon blouse, I have been coveting it for a very long time! Thanks for the giveaway! I'd try out the Natalie top pattern! I'd loooove to try the Felicity Dress, it's been in my list for a while now. I really like your dress, it brings some colour into the winter! Thank you for the giveaway, I have loved the Aster blouse from the moment it came out, so I'd love to try my hand at that one. The dress you're wearing is pretty cute. I must say though, that I have had an eye on Victory Patterns Nicola for a while now. Thanks for the give-away! Looking forward to making my own Afternoon Shift dresses. I have the pattern and fabric, but have been too busy sewing for my daughter to make something for myself. I would choose the Hazel dress by Victory Patterns. Cute retro style! --Donna B.
Loving the flannel - looking forward to seeing the photos from the Afternoon Shift! I also really love the Natalie top - such a flattering shape! I think I'd choose the Roxanne pattern! I'd love to make a Goldstream Peacoat for my husband! I'd love the Afternoon shift/blouse pattern- so versatile and comfortable, yet dressy! ooo the Strathcona Henley would be a perfect introduction to menswear! Hi! I'd really love the Afternoon Blouse & Shift Dress PDF Sewing Pattern. I love the Newcastle Cardigan, but I have also been wanting a copy of the Bronte top for a long time! 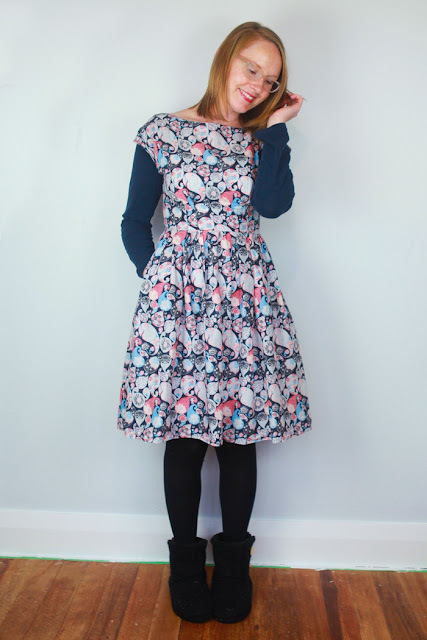 I've seen so many beautiful Moneta dresses this month, in all my trawling through the MMM instagram and flickr feeds that I'm thinking I really need to try it for myself. So it would have to be the Colette Moneta pattern for me. I've gone back and forth on the Cambie for so long, but ultimately I think I need it in my life! I think that's what I'd chose if I won. Thanks for the giveaway! I like the look of the cressida skirt! Great selection, I would choose the Madelaine by Victory patterns - just love those pockets! Either the Natalie or Finlayson. Oooh two patterns that have long been on my to-sew list are on there...the afternoon blouse and the Lola dress. It would be tricky to choose! Hm, Cressida skirt for myself or Goldstream peacoat for my hubby? I might be generous and sew for him for a change! I would absolutely love to have the Fifi boudoir set pattern! I have been lusting after it for a while! I'm on a skirt kick so I'd pick the Cressida skirt. I'd choose the Afternoon Blouse/Dress as I've been coveting it for a long while now! I think I'd like to finally try the Lola dress pattern! The Roxanne pattern- it's been on the list forever!! I'd love the louisa dress for teens/women to sew for my girls! 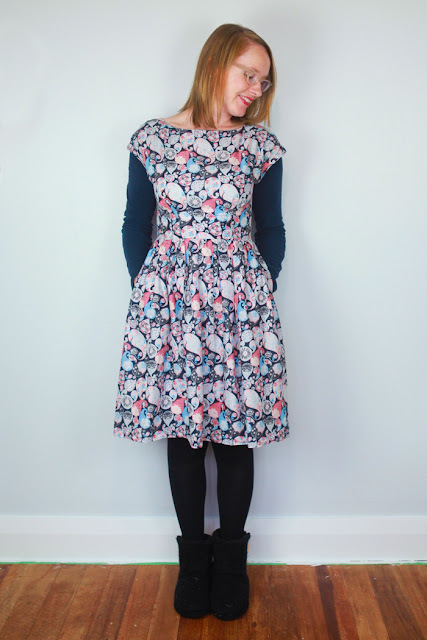 Lola by Victory Patterns - I've had my eye on it for a while! Thank you for hosting this giveaway and the Pinterest group! I really like the Emery Dress pattern by Christine Haynes. I've heard good things about it and have seen some gorgeous versions! I am loving the Afternoon Blouse, it has been on my wish list for a long time. I fancy the Saltspring dress. Thanks for the giveaway. I would like the Bronte knit top because I need more me-made tops to go with my array of me-made skirts! I also want my sewing endeavor for the next season to involve using only patterns from independent companies. I have not tried many so I'd love to kick it off with this one! Great giveaway - thanks. I'm another who would like the Afternoon Blouse and Shift Dress pattern. The dress is my perfect shape but I'm loving the Hazel dress as well. Probably Victory Nicola or Chloe, it's hard to choose! Roxanne PDF Sewing Pattern looks like a blouse pattern that would fit well in my wardrobe. thanks for hosting this weeks giveaway. I would like to win the Chloe pattern. What a great give-away!! thanks a lot for this oppurtunity!! I would choose the roxanne from victory patterns, or the new one: hannah, but I don't think they have it already?? I would choose the Cressida skirt. I've been wanting to make it for awhile now! Thanks for the giveaway! The Madeline skirt would be my pick! Thanks for a nice giveaway! I am dreaming about Sorell Trousers. So classy! So many tempting patterns. I really like the afternoon blouse/shift and have been quite inspired by the ones you have worn this May, however I think I would be selfless and get either the Jedidiah trousers or Strathcona Henley to make something for my hubby as I have been thinking about getting both of these, but usually opt to be selfish instead! I'd choose either the nicola or the simone! Thanks for the giveaway! I don't think my first comment posted because I was having Internet issues, but if this is a duplicate just ignore it. I'd love the Camas blouse, or if she gets your Hunter tank in stock, I might pick that instead! Ooh I'd go for the Madeleine Skirt from Victory patterns :) I've wanted it for ages! I love the Hazel dress, it's beautiful and would be great practice for sewing with silky fabrics. I've been looking for a wrap around apron, so the Smock and Tie Apron pattern fits the bill if I'm lucky - thank you! Ooh! I like the Victory Anouk, but my lovely man deserves a Newcastle Cardigan. It's a puzzle. 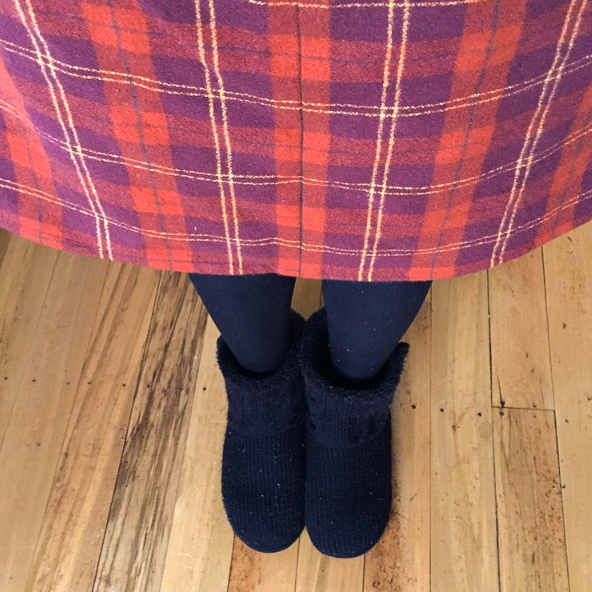 : ) Flannel is one of my top 3 favorite fabrics to sew and wear and yours is yummy!